Roger F. Jacobs joined the Notre Dame Law School as director of the Kresge Law Library and professor of law in 1985, after serving from 1978 to 1985 as the librarian of the United States Supreme Court. He became associate dean in 1990. He earned his A.B. from the University of Detroit in 1962, his M.A.L.S. from the University of Michigan in 1964 and his J.D. from the University of Detroit in 1970. He was admitted to the Michigan Bar in 1970. He has worked as a librarian at the University of Detroit (1962-67), and as founding librarian and professor at both the University of Windsor in Ontario, Canada (1967-73), and the University of Southern Illinois (1973-77). His areas of academic interest include legal research and writing, which he taught to first-year students. In addition, he often taught a course introducing foreign students to the American legal system. He gives lectures and presentations to other library professionals as an active member of a number of professional organizations including the American Association of Law Libraries (member since 1963, president 1981-82), the Canadian Association of Law Libraries (since 1967, president 1971-73), the ABA Section of Legal Education and Admissions to the Bar (member since 1970, council member 1990-96). He maintains his strong interest in high-quality legal education through his participation on more than 30 ABA law-school site-review committees and as a consultant to other law libraries including, the Supreme Court of Canada and 10 academic libraries in North America. In 2007 the American Association of Law Libraries honored Dean Jacobs by bestowing on him its Marian Gould Gallagher Distinguished Service Award. 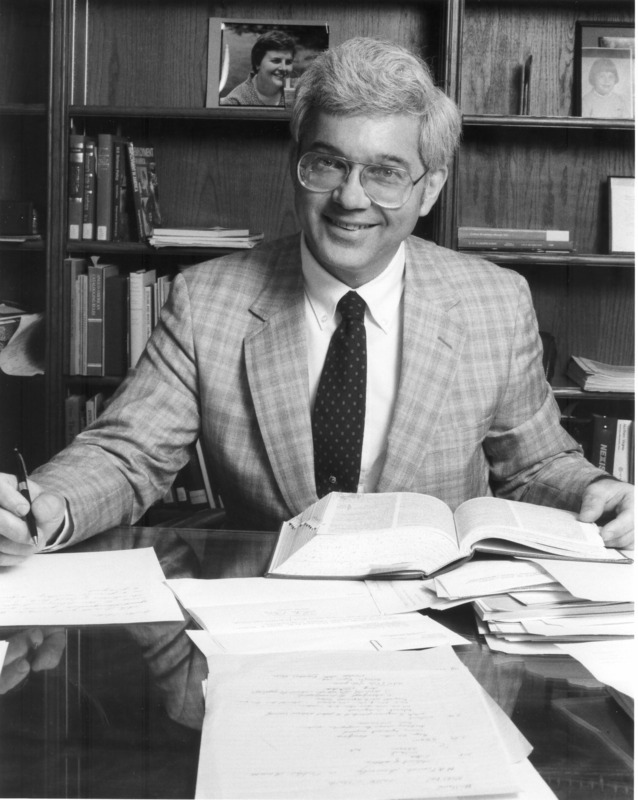 Additionally, Dean Jacobs received a 2000 Presidential award for outstanding service to the University and in 2001 he was honored with the Grenville Clark Award, which honors members of the community whose voluntary activities and public service advances the cause of peace and human rights. Dean Jacobs retired from active law school service in 2007 with the title professor of law emeritus. Jacobs' is one of five Notre Dame law librarians interviewed for the Oral History of Law Librarianship.